Helping IT reduce costs, increase security, and boost employee productivity, by Jared Spataro, Corporate Vice President for Microsoft 365. Windows 10, version 1809 designated for broad deployment. Minimize the impact of Windows 7 and Office 2010 End of Support on your business – a Microsoft webinar (recorded 3/21/19) will explore how businesses of all sizes can achieve more by shifting to a modern desktop. Installing and using DTrace, a dynamic tracing framework that allows an admin or developer to get a real-time look into a system either in user or kernel mode. Using these dynamically inserted trace points, you can filter on conditions or errors, write code to analyze lock patterns, detect deadlocks, etc. Announcing the public preview of Microsoft Windows Virtual Desktop. Now, all customers can access this service—the only service that delivers simplified management, a multi-session Windows 10 experience, optimizations for Office 365 ProPlus, and support for Windows Server Remote Desktop Services (RDS) desktops and apps. With Windows Virtual Desktop, you can deploy and scale your Windows desktops and apps on Azure in minutes and enjoy built-in security. On this [Microsoft Mechanics] show (12:43), we’ll take a closer look at Windows Virtual Desktop, now in public preview. See how you can give your users the only Windows 10 multi-session experience virtualized in the cloud and available on any device. Scott Manchester demonstrates how WVD delivers the best Office experience with multi-session virtual scenarios that virtualize persistent storage in a multi-session environment. Keep watching for a sneak peak of the next generation admin experience for WVD in the Azure portal. With the public preview for Windows Virtual Desktop now available, we wanted to provide a quick overview of the steps required to get your environment up and running. In this [Microsoft Mechanics] show (16:17), CVP Brad Anderson demonstrates cold-booting his personal, highly-managed and secured Windows 10 device in under 20 seconds. We’ll also show new options to get to managed remote Windows sessions and apps across devices using the new Windows Virtual Desktop. And we show new streamlined management experiences for Microsoft 365 administrators as well as what you can do to set baseline protections and device configurations quickly using built-in Security Baselines in Microsoft Intune. What’s new to manage and secure your devices with Configuration Manager and Microsoft Intune. On November 29, 2018, MITRE published the results of their evaluation of several endpoint detection and response (EDR) solutions, testing them against a chain of attack techniques commonly associated with the APT3 activity group. MITRE avoided direct vendor comparisons, but this has not prevented participating vendors from claiming victory and leveraging the results in aggressive marketing campaigns. The evaluation highlighted Windows Defender Advanced Threat Protection’s (Windows Defender ATP) distinct, superior capabilities when compared with other participating vendors. Microsoft Intune security tasks extend Microsoft Defender ATP’s Threat & Vulnerability Management. Effectively identifying, assessing, and remediating endpoint weaknesses is pivotal in running a healthy security program and reducing organizational risk. Today, we are happy to introduce Microsoft Intune security tasks, a new one-click remediation capability in Microsoft 365 that bridges security stakeholders—security administrators, security operations, and IT administrators—by allowing them to collaborate and seamlessly remediate threats. This capability will extend the newly announced Microsoft Defender Threat & Vulnerability Management (TVM), a new component of Microsoft Defender Advanced Threat Protection (Microsoft Defender ATP, previously Windows Defender ATP) that uses a risk-based approach to the discovery, prioritization, and remediation of endpoint vulnerabilities and misconfigurations. Introducing a risk-based approach to threat and vulnerability management. Threat & Vulnerability Management, a new, built-in capability that uses a risk-based approach to the discovery, prioritization, and remediation of endpoint vulnerabilities and misconfigurations. This capability is coming to Microsoft Defender Advanced Threat Protection (ATP), our industry-leading unified endpoint security platform with an updated name that reflects the newly announced expanded coverage. Announcing Microsoft Defender ATP for Mac. Today, we’re announcing our advances in cross-platform next-generation protection and endpoint detection and response coverage with a new Microsoft solution for Mac. Core components of our unified endpoint security platform, including the new Threat & Vulnerability Management also announced today, will now be available for Mac devices. Tamper protection in Microsoft Defender ATP is a new setting available which provides additional protections against changes to key security features, including limiting changes that are not made directly through the app. Enabling this feature prevents others (including malicious apps) from changing important protection features such as (a) Real-time protection, (b) Cloud-delivered protection, (c) IOAV, (d) Behavior monitoring. The feature also prevents the deletion of security intelligence updates and the disabling of the entire antimalware solution. Windows 10 Tip: Look up definitions for words in web pages, books and PDFs. Announcing the Open Sourcing of Windows Calculator. This includes the source code, build system, unit tests, and product roadmap. Our goal is to build an even better user experience in partnership with the community. We are encouraging your fresh perspectives and increased participation to help define the future of Calculator. Find my device is a feature introduced in the 2015 Windows 10 update, allows you to locate your Windows device if it goes missing. The best part about Find my device is that it’s completely safe to use, and automatically included in Windows 10. Windows 10 Tip for Microsoft Edge: Increase text spacing, choose themes and colors, and how to use the learning tools. Manage and use virtual desktops like a pro in Windows 10. Make Windows easier to see: bigger text and mouse pointer. Windows 10 Tip: Improve focus as you read web articles. Windows 101: Three ways to personalize your PC background. Cloud clipboard: Copy & paste across your Windows 10 devices. Data, insights and listening to improve the customer experience. The Windows Data Science team share some of the practices we’ve developed during the last few years to measure and improve the quality of Windows. Windows 10 reaches 800 million devices globally! Understand top trends in the threat landscape, get Microsoft’s perspective on 2018 cybersecurity trends such as cryptocurrency mining, supply chain attacks, and phishing in the Security Intelligence Report, Volume 24. Microsoft end of support FAQ for Windows 7 and Office 2010. Microsoft Mechanic’s video (11:43) on an early look at Microsoft Threat Protection. Harnesses trillions of threat signals from the Microsoft Intelligent Security Graph to secure your workplace using Microsoft Threat Protection. Security CVP Rob Lefferts shows you the unified single consul for visibility of security threats across your identities, endpoints, email, user data, SaaS apps, infrastructure and more. Evolution of macOS management capabilities in Microsoft Intune. Spring 2019 edition of what’s new in System Center Configuration Manager (SCCM) and Microsoft Intune. Are you looking understand that ROI for your investment in a Microsoft 365 modern desktop? Then look no further as Microsoft has created an interactive ROI model based upon a Forrester Consulting case study, “The Total Economic Impact Of The Modern Desktop With Microsoft 365” (as commissioned by Microsoft). By filling in simple values, you can determine a high-level estimate of the economic impact on your specific environment of migrating from on-premise third-party and Microsoft solutions to Microsoft 365 modern desktop. The perils of using Internet Explorer as your default browser. When enough is enough for technical debt and why customers shouldn’t just stay status quo. MSIX: Package Support Framework. Part One – The Blueprint. We are excited to announce MSIX is now including support for Windows 10 versions 1709 and 1803, in addition to 1809 that is already supported. The new support enables distribution of MSIX packages within your enterprise using tools like System Center Configuration Manager, Microsoft Intune, PowerShell, double-click file deployments or installing directly from the APIs. This change does not include distribution from the Microsoft Store or Microsoft Store for Business, which will still require Windows 10 1809 or later. Want more information on the Microsoft Managed Desktop service? Microsoft has updated the MMD website and added a useful new e-book on the service. With Windows 10, there was never actually a Semi-Annual Channel (Targeted), or SAC-T, release; rather, SAC-T merely reflected a milestone for the semi-annual release. Beginning with Windows 10, version 1903 (the next feature update for Windows 10), the Windows 10 release information page will no longer list SAC-T information for version 1903 and future feature updates. Instead, you will find a single entry for each new SAC release. If you use Windows Update for Business, then read these guidelines for how this change will reflect the removal of the SAC-T nomenclature. Modern Desktop podcast – Windows 10 Application Compatibility. This episode (47:48) focuses on one of the biggest perceived pain points we hear from organizations getting ready for Windows 10 – Application Compatibility. We talk with Aleks Lopez and Robyn Nolan about the Windows Desktop App Assure program, as well as Chris Jackson, @appcompatguy, about the history of application compatibility over the various versions of Windows and where organizations are today. Windows 10 monthly quality updates are cumulative, containing all previously released fixes to ensure consistency and simplicity. Microsoft introduces a new technique to build compact software update packages that are applicable to any revision of the base version, and then describe how Windows 10 quality updates uses this technique. Tips to keep your devices and data safe using these simple security best practices. The keystone to good security hygiene is limiting your attack surface. Attack surface reduction (ASR) is a technique to remove or constrain exploitable behaviors in your systems. In this blog, we discuss the two ASR rules introduced recently and cover suggested deployment methods and best practices. We have been recommending the use of TLS 1.2 and above for some time. To help provide guidance, we are pleased to announce the release of the Solving the TLS 1.0 Problem, 2nd Edition white paper. The goal of this document is to provide the latest recommendations that can help remove technical blockers to disabling TLS 1.0 while at the same time increasing visibility into the impact of this change to your own customers. Announcing Microsoft Threat Experts! This new managed threat hunting service in Windows Defender Advanced Threat Protection. It provides proactive hunting, prioritization, and additional context and insights that further empower Security Operations Centers to identify and respond to threats quickly and accurately. Microsoft puts people first by offering a wide range of Windows 10 accessibility features for users of many different abilities. Known internally as the Windows Accessibility team, the Input for Everyone team draws back a curtain for you to peek behind the scenes. Learn how Windows engineers are building accessibility features for all of us. In this video (1:53), meet Brett Humphrey, a Senior Program Manager on the Windows Accessibility team to learn more about his experience of going through school and using technology with low vision and translating Windows to people with different abilities. Video (2:15) – Windows Narrator gets more accessible with QuickStart. The new Narrator QuickStart app teaches users with low vision and blindness how to navigate Windows, browse the web, and learn more with Narrator user guide. Windows 10 Tip: AI-powered PowerPoint Designer gets smarter. In Windows 10, the People app allows you to forge better connections with your primary contacts by keeping you in the loop about important dates, upcoming commitments, and recent conversations. Windows 101: Four ways to customize your taskbar. Windows 101: Unleash Windows superpower with right click. The right click on your mouse is capable of more than you know. Use it to gain instant access to all kinds of features and unleash your potential for productivity. Video (2:57) – Minimize distractions with Windows 10 Focus assist. Don’t let interruptions get in the way of your productivity. Windows 10 Focus assist acts as a gatekeeper, so distractions remain at bay. If you’re trying to decide what to buy between Office 365 and Office 2019, you’ll find there’s a world of difference between the two. To further help you choose, Microsoft pitted Office 2019 and Office 365 against each other in a head-to-head showdown, challenging three sets of twins to complete the same tasks in both versions of Word, Excel and PowerPoint – and filmed them along the way. While we’ve talked about the guiding principles for monthly Windows 10 quality updates, it’s important to know that we have specific documentation on what is included in each of the updates to solve stability issues and protect against the latest security vulnerabilities, and why and how you should install them. That documentation can be found on the Windows 10 update history page, which is a collection of pages, one for every Windows update we release. Each page offers detailed information about each update, such as the type of update, which operating system versions it affects, improvements and fixes and how to get the update. Microsoft is frequently asked how they operate our Security Operations Center (SOC), particularly as orgs are integrating cloud into their enterprise estate. This is the first in a three-part blog series designed to share the approach and experience, so you can use what Microsoft has learned to improve your SOC. In Part 1: Organization, we start with the critical organizational aspects (organizational purpose, culture, and metrics). Windows 10 Mobile End of Support: FAQ. We’re announcing the general availability of Windows Defender ATP’s endpoint detection & response (EDR) capability for Windows 7 and Windows 8.1, helping customers achieve the best security possible while transitioning to Windows 10. Microsoft announces latest Windows IoT innovations for intelligent edge devices at Embedded World. Do you deploy, configure, secure, manage, and monitor devices and client applications in an enterprise environment? Do you manage identity, access, policies, updates, and apps and collaborate with the M365 Enterprise Administrator to design and implement a device strategy that meets the business needs of a modern organization? Are you familiar with M365 workloads and proficient in deploying, configuring, and maintaining Windows 10 and non-Windows devices and technologies? If so, it’s time to earn your Modern Desktop Administrator certification! Microsoft 365 enables customers to shift to a modern desktop experience puts it at the heart of workplace transformation. A modern desktop with Windows 10 and Office 365 not only offers the most productive and most secure computing experience, it also saves IT time and money, and allows for a focus on driving business results. For many companies, their specific needs require a modern desktop be virtualized. To help extend our virtualization capabilities and provide an even richer experience for Microsoft 365 customers, we are excited to announce the acquisition of FSLogix. FSLogix is a next-generation app-provisioning platform that reduces the resources, time and labor required to support virtualization. From small businesses to very large global enterprises across numerous industries, FSLogix solutions enhance customer experience and productivity, while reducing support requirements for IT departments. Microsoft is excited to announce that we are named a Leader for Enterprise Mobility + Security (EMS) in the inaugural Forrester Wave: Unified Endpoint Management, Q4 2018. Forrester notes in the report that, Microsoft’s release of co-management in late 2017 has bolstered the company’s ability to serve advanced Windows 10 management use cases and provides a flexible path for customers to test out modern management. Forrester also recognizes Microsoft for having the some of the strongest security capabilities in the evaluation of 12 vendors. Traditionally, the desktop management scenario for most enterprises has been one where all users and devices are located on-site with a direct network connection. That’s been the state of things for years. But the workplace is changing. More of your users work remotely full-time; some never set foot in your physical facilities. If you do the initial setup for a Windows 10 device on-premises, you start out in control. But if those devices are distributed to your remote workforce, how do you maintain control? How do you make sure user devices are secure and up-to-date while keeping the update process simple and hassle-free? In short, you implement a modern desktop management strategy. New Microsoft site for the latest information and guidance on Windows as a Service! Find the tools and resources you need to help deploy and support WaaS in your organization. Windows Transport converges on two Congestion Providers: Cubic and LEDBAT. In the heart of the Windows kernel there is a networking stack. At the heart of the networking stack there is a layer called Transport and Transport contains a suite of algorithms called Congestion Providers. This post takes a look at the difference between the two along with a deeper view into the difference between them using the example of a software update being delivered by SCCM. Evaluating Windows 10 Delivery Optimization and its impact to your network at the device level as well as across the organization with Windows Analytics’ Update Compliance. Gartner: Rethink Windows 10 Long Term Servicing Branch (LTSB / LTSC) Deployment Based on Microsoft’s Updated Guidance – refreshed August 2018. Modern desktop servicing: the year in review. Since Windows 10 first shipped, and the Windows as a service model was introduced, we have heard you talk about three common concerns: application compatibility, end user interruption, and network bandwidth impact. I’m happy to report that, in 2018, we made significant progress in addressing each of these concerns. New! Microsoft 365 Modern Desktop podcast channel. In this series, we’ll explore the good, the bad, and yes the ugly of servicing and delivery for Windows 10 and Office ProPlus. We’ll talk about modern desktop management through Enterprise Mobility, security, even Cloud attached and co-managed environments. Driver quality in the Windows ecosystem. Ensuring Windows 10 works great with all the devices and accessories our customers use is a top priority for our team. There are millions of configurations of hardware and driver combinations in the Windows ecosystem, allowing for great customer choice and unlocking opportunity for partners. We work closely with this broad mix of partners to test new drivers, monitor health characteristics over time, and make Windows and our ecosystem more resilient architecturally. In this blog, part of our series on the Windows approach to quality, Tom Frankum from our Silicon, Graphics and Media team will provide more detail about the work we do to improve Windows driver quality. Modern desktop servicing: the year in review. 2018 was a pivotal year for the modern desktop and the servicing transformation journey we have been taking with you and your organization. With that in mind, I thought it would be good to look back and recap the progress that has been made, highlight significant events, and provide insight into what 2019 has in store. Analysis of cyberattack on U.S. think tanks, non-profits, public sector by unidentified attackers. Microsoft customers using the complete Microsoft Threat Protection solution were protected from the attack. Behavior-based protections in multiple Microsoft Threat Protection components blocked malicious activities and exposed the attack at its early stages. Office 365 Advanced Threat Protection caught the malicious URLs used in emails, driving the blocking of said emails, including first-seen samples. Meanwhile, numerous alerts in Windows Defender Advanced Threat Protection exposed the attacker techniques across the attack chain. Insights from the MITRE ATT&CK-based evaluation of Windows Defender ATP. In MITREs evaluation of endpoint detection and response solutions, Windows Defender Advanced Threat Protection demonstrated industry-leading optics and detection capabilities. The breadth of telemetry, the strength of threat intelligence, and the advanced, automatic detection through machine learning, heuristics, and behavior monitoring delivered comprehensive coverage of attacker techniques across the entire attack chain. Video (1:57) on the Windows channel on YouTube features how Windows Information Protection (WIP) helps prevent users from accidentally copying work data to personal sites. Remote Use of Local Accounts: LAPS Changes Everything. Aaron Margosis of Microsoft revisits the question about whether and when to block the use of local accounts, particularly for remote administration. Microsoft has put a lot of effort in Hyper-V security. Hyper-V, and the whole virtualization stack, runs at the core of many of our products: cloud computing, Windows Defender Application Guard, and technology built on top of Virtualization Based Security (VBS). Read more from Microsoft’s Security Research & Defense about the first steps in Hyper-V security research including an intro to the virtualization stack, the debugging environment, and addressing the attack surface inside and outside the hypervisor. One of our goals in the Microsoft Security Response Center (MSRC) is to be more transparent with security researchers and our customers on the criteria we use for determining when we intend to address a reported vulnerability through a security update. Our belief is that improving transparency on this topic helps provide clarity on how we assess risk, sets expectations for the types of vulnerabilities that we intend to service, and facilitates constructive dialogue as the threat landscape evolves over time. In September 2018, the first version of the security servicing criteria for Windows was announced; it’s expected that this will be a living document that evolves over time as Microsoft continues the dialogue with the community on this topic. Windows Defender ATP has protections for USB and removable devices. We know, unfortunately, that people will plug in devices with unknown history (and that there are also attackers out there who directly attempt to control devices without relying on social engineering). These devices could be the source of malware infections that use USB and other removable devices to get initial access to a system or network. This vector of attack falls under social engineering in this case, appealing to our weakness for shiny things: when we see a free item were inclined to take it. To help protect against these attacks, you can prevent any removable device from being seen and interacted with by blocking users from using any removable device on the machine. Tackling phishing with signal-sharing and machine learning.With ML-based detection of malicious PDF files used for phishing, Windows Defender ATP uses multiple layers of machine learning models to correctly identify malicious content. Most attacks are caught by the first few layers, which swiftly make a verdict and protect customers at first sight during the early stages of attacks. More sophisticated attacks may need the more complex classifiers in further layers, which take more time but make sure additional protections catch attacks that evade the first, faster classifiers. Mitigating Spectre variant 2 with Retpoline on Windows. How many times have you downloaded an executable file, but were afraid to run it? Have you ever been in a situation which required a clean installation of Windows, but didn’t want to set up a virtual machine? Windows Sandbox is a new lightweight desktop environment tailored for safely running applications in isolation. Microsoft Edge: Making the web better through more open source collaboration. Microsoft has meaningfully increased participation in the open source software (OSS) community, becoming one of the world’s largest supporters of OSS projects. Microsoft intends to adopt the Chromium open source project in the development of Microsoft Edge on the desktop to create better web compatibility for our customers and less fragmentation of the web for all web developers. TL;DR documentation to explain the Microsoft Edge team’s plans and intentions related to Microsoft Edge and clarify the Chromium open-source project on how the work will proceed. Recapping Joe Belfiore’s announcements surrounding Microsoft Edge and open source.Alongside this announcement, we shared documentation describing our open source principles and initial areas of focus. Introducing the Office app for Windows 10! Last year, we updated Office.com with a new experience focused on two simple things: helping users get the most out of Office and getting them back into their work quickly. The streamlined site has clearly resonated with customers, and now more than 40 percent of Office 365 web users start their work by visiting Office.com. Starting today, we’re bringing this experience to Windows 10 in the form of an app, simply called Office. It’s now available to Windows Insiders (Fast) and will roll out to all Windows 10 users soon. The app itself is free and it can be used with any Office 365 subscription, Office 2019, Office 2016, or Office Online—the free web-based version of Office for consumers. Windows 10 Tip: Name your tile folders. To create a tile folder in Start, just drag one tile on top of another for a second, then release. Continue dropping as many tiles into the folder as you’d like. When you expand the folder, you’ll see a new option to name it. Windows key is the most powerful button on your keyboard. The Windows community shows you how to effectively search and find anything on your computer using only it. Whether you’re looking for that image you saved to one of your folders or need to look up weather for your trip, Windows key can help. Five Microsoft Edge features to boost productivity while browsing. Microsoft Whiteboard advancements: now more colorful and customizable than ever. Windows 10 Tip: the Windows 10 October 2018 Update comes SwiftKey intelligence. Windows 10 Tip: Schedule items by dragging a task to your calendar. Windows 10 Tip: Find files quickly using Quick access. Windows 10 Tip: Get Tips in Windows and online. Windows monthly security and quality updates overview: as part of our series of blogs on the Windows approach to quality, Microsoft shares an overview of how they deliver these critical updates on a massive scale as a key component of our ongoing Windows as a service effort. CISO series: Strengthen your organizational immune system with cybersecurity hygiene. 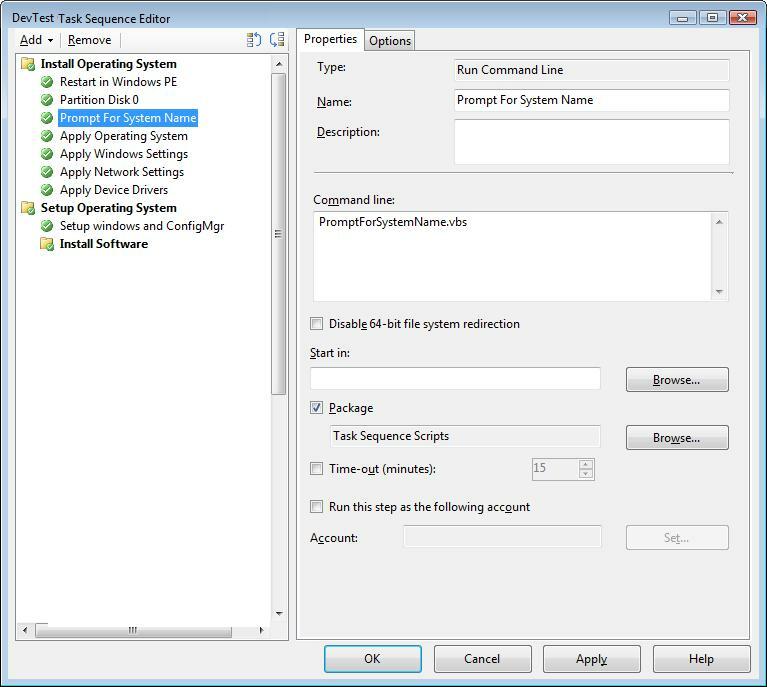 Using the Fully Qualified Domain Name for Remote Control [to a Windows computer] in System Center Configuration Manager: an example on creating a custom console extension. The evolution of Microsoft Threat Protection (MTP), December update on Azure Security Center. Additionally, we overview a real-world scenario showcasing where MTP stops threats as envisioned with solution integrations. During the Tropic Trooper attack campaign, Windows Defender Advanced Threat Protection (WDATP), Azure Active Directory (Azure AD), and Office 365 ATP services worked in sync, helping ensure the threat was addressed quickly with no adverse impact. The campaign initiated several Windows Defender ATP alerts triggering its device risk calculation mechanism, which ascribed affected endpoints with high risk scores. These endpoints were put to the top of the list in Windows Defender Security Center leading to early detection and discovery of the attack. Windows Defender ATP seamlessly integrates with Azure AD featuring conditional access. During Tropic Trooper, conditional access blocked high-risk endpoints from accessing sensitive content, protecting other users, devices, and data in the network. New research highlights massive opportunity to empower Firstline Workers with technology. Windows 10 quality approach for a complex ecosystem. In November, Microsoft re-released the October 2018 Update after pausing to investigate a small but serious issue. This is the first time in Windows 10’s “Windows as a Service” history that we have taken such an action, and as such it has naturally led to questions about the work we do to test and validate Windows quality before we begin rolling it out broadly. Now live! Follow the steps outlined in Microsoft’s Modern Desktop Deployment Center to plan and carry out your large-scale deployment of Windows 10 and Office 365 ProPlus. Each step is part of the overall planning and deployment process with steps typically running in parallel to each other in a phased deployment. Windows Autopilot: Hybrid Azure AD join and automatic registration. Windows 10 Enterprise LTSC 2019 is now available on the Volume Licensing Service Center (VLSC). KB4347075 Update to extend KMS support upcoming Enterprise LTSC and Windows Server products. Windows 10 Long-Term Servicing Channel (LTSC): What is it, and when should it be used? Today is an exciting day for Windows 10 on ARM. With the official release of Visual Studio 15.9, developers now have the officially supported SDK and tools for creating 64-bit ARM (ARM64) apps. This news comes at a great time as Qualcomm Snapdragon 850 processor second-generation ARM64 devices provide even more computing power for developers to tap into while continuing to deliver the beyond-all-day battery life customers expect from Windows 10 on ARM. Like the first-generation ARM64 devices, they are also thin, light, fast, and designed with instant-on 4G LTE connectivity in mind, while able to run the wide ecosystem of Windows applications thanks to an x86 emulation layer. Our analysis of a targeted attack used malicious InPage document and outdated VLC media player to give attackers backdoor access to targets. Historically, malware payloads like the stage 2 malware in this attack are used to steal credentials and other sensitive information, install more payloads, or move laterally in the network. However, because the malware opens a backdoor channel for remote attackers to execute arbitrary commands of their choice, there’s a wide range of possibilities. Windows Defender ATP device risk score exposes new cyberattack, drives Conditional access to protect networks. The WDATP team uncovered a new cyberattack that targeted several high-profile organizations in the energy and food and beverage sectors in Asia. Given the target region and verticals, the attack chain, and the toolsets used, we believe the threat actor that the industry refers to as Tropic Trooper was likely behind the attack. Read more about how the attack was determined, protected by Conditional access, and automatically remediated on threatened networks. Microsoft is excited to share with you some of the latest significant enhancements to Windows Defender ATP. We added new capabilities to each of the pillars of Windows Defender ATPs unified endpoint protection platform: improved attack surface reduction, better-than-ever next-gen protection, more powerful post-breach detection and response, enhanced automation capabilities, more security insights, and expanded threat hunting. These enhancements boost Windows Defender ATP and accrue to the broader Microsoft Threat Protection, an integrated solution for securing identities, endpoints, cloud apps, and infrastructure. At Microsoft, we take your device and account protection seriously, which is why we’ve been on a mission to eliminate passwords. Passwords can be difficult to remember, are often reused and can be used to hack your account anywhere, anytime, from any device. Windows Hello is a key component in our effort to finally saying goodbye to passwords. Using facial recognition, a fingerprint, or PIN, Windows Hello is a fast, secure and password-less way to unlock your Windows 10 PC.1 We’ve been busy bringing the latest and greatest features to Windows Hello and account protection and wanted to take some time to update you on what’s new. Secure password-less sign-in for your Microsoft account using a security key or Windows Hello. We just turned on the ability to securely sign in with your Microsoft account using a standards-based FIDO2 compatible device—no username or password required! FIDO2 enables users to leverage standards-based devices to easily authenticate to online services—in both mobile and desktop environments. Windows 10 Tip: Five ways filling out forms online just got easier in Microsoft Edge. You may have already noticed that it’s easier than ever to fill out form details in websites, thanks to several improvements in Microsoft Edge via the Windows 10 October Update. This builds on the multi-field autofill launched in April that gave users the ability to fill out multiple related fields in website forms, such as contact info and credit card details, with one click. Windows 10 Tip: Find out how to setup and use Surface Headphones. Save money and time with Microsoft Shopping Assistant. Microsoft Shopping Assistant, first released in 2016 through The Garage, is a browser add-on that helps you get the best deals at more than 50,000 online stores, from top retailers like Amazon and Walmart to your favorite boutique shop on Etsy. Assessing Microsoft 365 security solutions using the NIST Cybersecurity Framework. Enterprise security resources from Microsoft – includes whitepapers, training, blogs, and more! A step-by-step demo guide for provisioning Microsoft Surface devices using Windows Autopilot – without the need to reimage them. See how Microsoft Surface provides the first and best experience for first run user provisioning and ongoing device driver and firmware management and how you can register devices to your org and customize devices with apps and policies to make them business-ready right out of the box. November update on the evolution of Microsoft Threat Protection, which revisits some of the solution capabilities announced at Ignite and provide updates on significant enhancements made since September. Engineers across teams at Microsoft are collaborating to unlock the full, envisioned potential of Microsoft Threat Protection. Throughout this journey, we want to keep you updated on its development. Secure your privileged administrative accounts with a phased roadmap. There are few things more important to a secure posture than protecting admins. This is because a compromised admin account would cause a much greater impact on the organization than a compromised non-privileged user account. If you are working on initiatives to secure your privileged accounts, this post is designed to help. I’ve shared some of the principles and tools that Microsoft has used to guide and enhance our own security posture, including some prescriptive roadmaps to help you plan your own initiatives. Reduce your potential attack surface using Azure Advanced Threat Protection (ATP) Lateral Movement Paths. The purpose of lateral movements within a cyber-attack kill chain are for attackers to gain and compromise your sensitive accounts towards domain dominance. Azure ATP provides invaluable insights on identity configurations and suggested security best-practices across the enterprise. A key component of Azure ATP’s insights is Lateral Movement Paths or LMPs. Azure ATP LMPs are visual guides that help you quickly understand and identify exactly how attackers can move laterally inside your network. Azure ATP LMPs provide easy to interpret, direct visual guidance on your most vulnerable sensitive accounts, assists in helping you mitigate and close access for potential attacker domain dominance. Intune’s journey to a highly scalable globally distributed cloud service; Part 2 explains the three proactive actions Microsoft took to prepare for immediate future growth. Windows Machine Learning is out of preview and ready to become part of your AI toolbox. The Windows ML inference engine evaluates trained models locally on Windows devices, removing concerns of connectivity, bandwidth, and data privacy. This video series will help you understand how you can get started with Windows ML and explore the new APIs through the lens of Rufus the robot.